Adam Chase is the founder of Jazz Is Phish as well as an accomplished drummer, percussionist, song writer, teacher and multi-instrumentalist. What I love most about Adam and what he has created in his life is the fact that he took what he loves and is passionate about, invited people he loves and respects to collaborate with him and created something magical from that intention. He is an incredibly inspiring human that we all could learn something from so I obviously had to interview him. Taraleigh: How did the concept for Jazz is Phish come to be? Adam: In my years of touring, I constantly came across incredible musicians that were closet Phish fans, but for some reason didn't want to admit it. It kind of reminded me of when children rebel against their parents in their attempts to form their own identities. They don't want to be associated with the thing that shaped them and influenced them for such a big chunk of their lives. It became apparent to me that if I could create a way to pay homage to Phish while allowing musicians to have their own identity by re-imagining the music in an instrumental setting that I would be able to uncover musicians from a wide variety of backgrounds and genres to embrace their love for the music. I had not fully embraced the name Jazz Is Phish, but I knew that I wanted to do something similar for Phish that Jazz Is Dead provided for The Grateful Dead. One night before a James Brown Dance Party gig (another project of mine), I found myself sitting in a car outside of the Cutting Room in Manhattan with Jeff Sipe and my brother Matthew waiting for soundcheck. While we waited we were discussing various projects and musical experiences that we had when Jazz Is Dead came up. After talking about Jazz Is Dead with Sipe, I realized that while the music and styles are different that it is the same concept that I was going for and as a show of respect for Jazz Is Dead and recognition of the link between The Grateful Dead and Phish that I would embrace the name Jazz Is Phish. In reality though, it came to be when a very talented group of musicians got together and started working on the music. Taraleigh: It sounds like you had a strong gut feeling about the magic that would happen if you brought together amazing jazz musicians to dive into the works of Phish. You knew deep down what a profound mission it was for these musicians as well as the fans who get to reap the benefits of the collaboration you created. Thank you for being brave enough to follow your intuition and take action. There are many tribute bands out in the world. What makes Jazz is Phish unique? Adam: While the name is a direct nod to another band, the music is very unique. When selecting the players for the project, it was important for me to have a variety of musicians from different musical backgrounds. I wanted some of the players to have grown up on Phish so they had the music in their DNA. For other players, I wanted them to have no preconceived notions of what our take on the music should be. Taraleigh: Being such a huge Phish fan myself I can only imagine how the musicians that aren't that familiar with the band's music minds must have been blown. Have any of the members of Jazz Is Phish played with any of the members of Phish before? Adam: Yes! 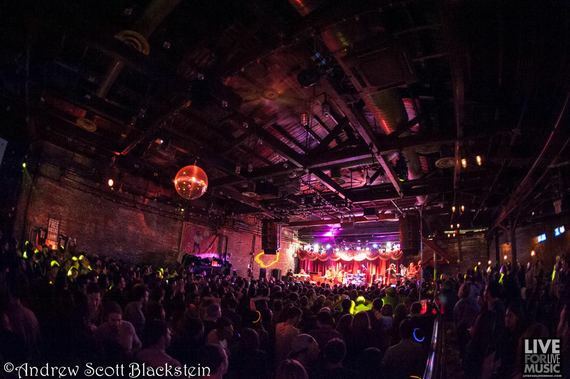 A number of players involved have performed with Phish or have a relationship with the members of the band which makes the tribute more personal and endearing. Taraleigh: If you could compare your music to a place on earth, where would it be and why? Adam: My first thought is to compare it to a big city like New York because it's a melting pot of ideas and perspectives. Taraleigh: Your first thought couldn't be more accurate. You hit the nail on the head. What was the best piece of advice you've ever received? Adam: "If you will it, it is no dream." Theodore Herzl. The first time I heard that quote I was watching The Big Lebowski. I took it to heart and it serves as my mantra. The piece of advice I received as a drummer was to practice with a metronome. Taraleigh: Totally! Work hard with ease. If something I'm working on constantly feels like an uphill battle, I always ask myself what could I shift to flow downhill with ease and grace instead. Thank you for sharing that with us. What advice would you give to a person with a big dream? Adam: Partner with someone with a great business mind. Taraleigh: I used to try to do everything alone in my business and nothing happened. Once I started partnering with amazing people that were strong in the areas I was weak in the magic happened. I'm grateful for your wisdom. What are you grateful for right now? Adam: Everything. Especially people that use their turn signals and people that pick up after their dogs. Taraleigh: Good ones! What are you looking forward to? Adam: We just added a short winter run for Jazz Is Phish, February 10 at Blind Tiger in Greensboro, NC. February 11 at Southland Ballroom in Raleigh, NC. February 12 at Asheville Music Hall in Asheville, NC and February 13 at Smith's Olde Bar in Atlanta GA. Which is awesome because I can't get enough of this project. I'm looking forward to eating at Taco Billy in Asheville. I am super stoked for a couple James Brown Dance Party shows on the horizon as well. On January 29, we are taking the James Brown Dance Party to the west coast for the first time. We'll be performing at Mezzanine in San Fransisco with Jerry Poindexter of James Brown's Band, Chris Bautista, (who I first saw with Breakestra and Tenacious D), Elizabeth Lea (She's recorded with everyone from Vampire Weekend and Eric Clapton to Black Eyed Peas and John Legend. She is currently on tour with The Tedeschi Trucks Band, Uriah Duffy whose list of credits is too long to list but include Sly and the Family Stone, CeeLo Green, Alicia Keys, Talib Kweli, and Christina Aguilera to name a few. This show will also have Chris Bullock of Snarky Puppy, my brother, Matthew Chase and I and will feature Elise Testone on vocals. 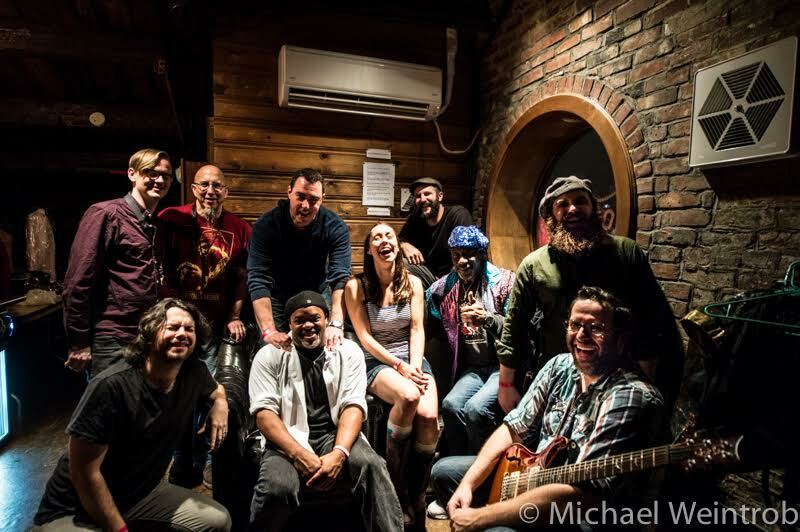 We also have an incredible lineup performing in Asheville at the Asheville Music Hall on January 23 featuring members of James Brown Band, Trey Anastasio Band, Yo Mama's Big Fat Booty Band and more! Be sure to check www.jamesbrowndanceparty.com for more information about that. Whenever I spend time in a good studio I get inspired. After we finish the Jazz Is Phish record, I am going to want to get back in the studio with some original music. Taraleigh: When you do things for the love of it you can't help but be successful. You manifested all of this. Woo! If you love music like this, I made a playlist that you'll love! Get it here. Thank you for reading and see you at a show! 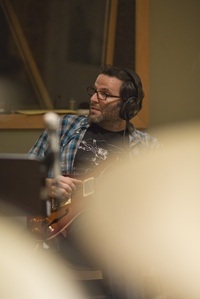 Adam has recorded, collaborated and/or performed with Santana, Aerosmith, Kiss, Crosby Stills and Nash, Derek Trucks, Dicky Betts, Victor Wooten, Oteil Burbridge, Kofi Burbridge as well as members of The James Brown Band, Bootsy Collins Band, Galactic, Lettuce, Trey Anastasio Band, Victor Wooten Band, Snarky Puppy, Trombone Shorty, Break Science, Pretty Lights Live Band, Aretha Franklin Band, Saturday Day Night Live Band, Cage The Elephant, The Word, Aquarium Rescue Unit, Jazz Is Dead and more. Adam is also the founder and co-music director of The James Brown Dance Party and has appeared on The Discovery Channel with Ludacris, Tommy Lee, and Big Boi. Jazz Is Phish is an all-star, instrumental tribute to Phish inspired by the popular tribute to The Grateful Dead, Jazz Is Dead. 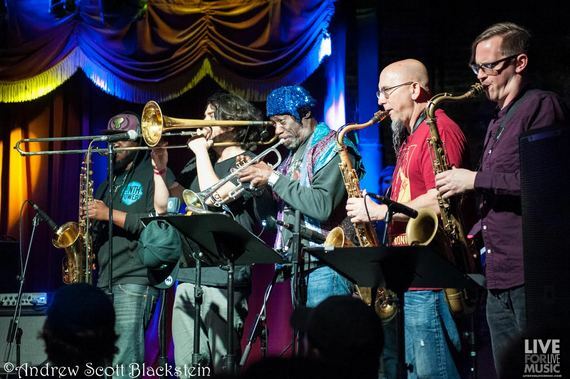 Jazz is Phish features members of The Giant Country Horns, Snarky Puppy, Victor Wooten Band, Sun Ra Arketra, Strange Design and more! 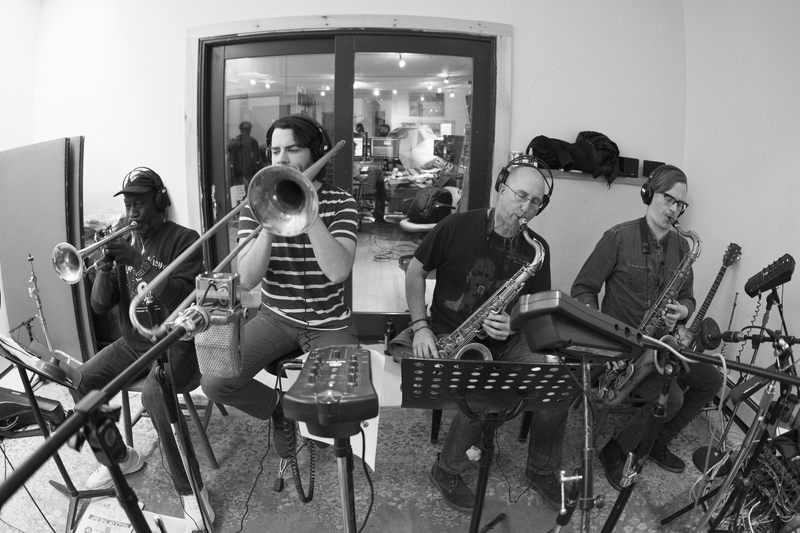 The band was founded in 2015 by The Chase Brothers Adam Chase and Matthew Chase and has quickly attracted some of the most influential musicians in the jazz and jam scenes. The band has grown quickly, selling out shows right out of the gate and is currently working on an album that will feature Jeff Coffin, Chris Bullock, Michael Ray, Anthony Wellington, Adam Chase, Matthew Chase, Scotty Flynn, Josh Thomas and a number of very special guest yet to be announced!